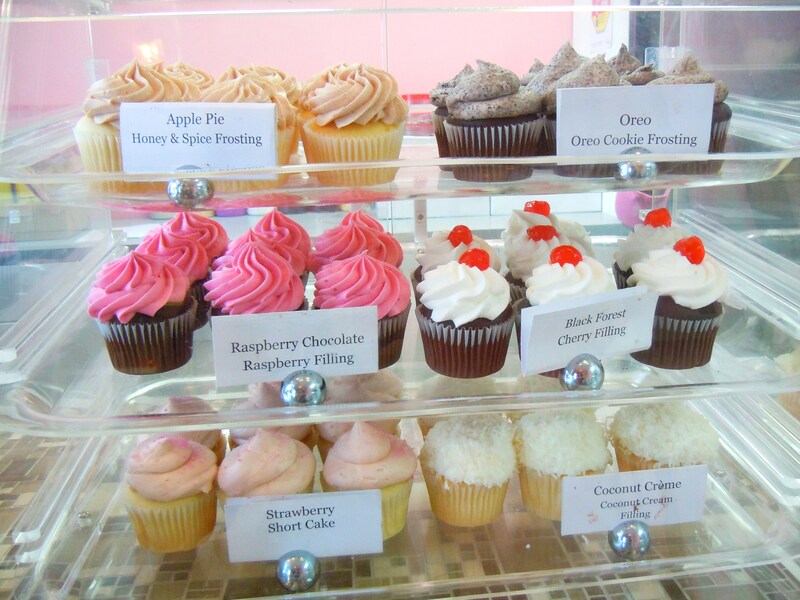 Category Archives: Crumbs & Co.
Cupcakes in Richmond Hill! 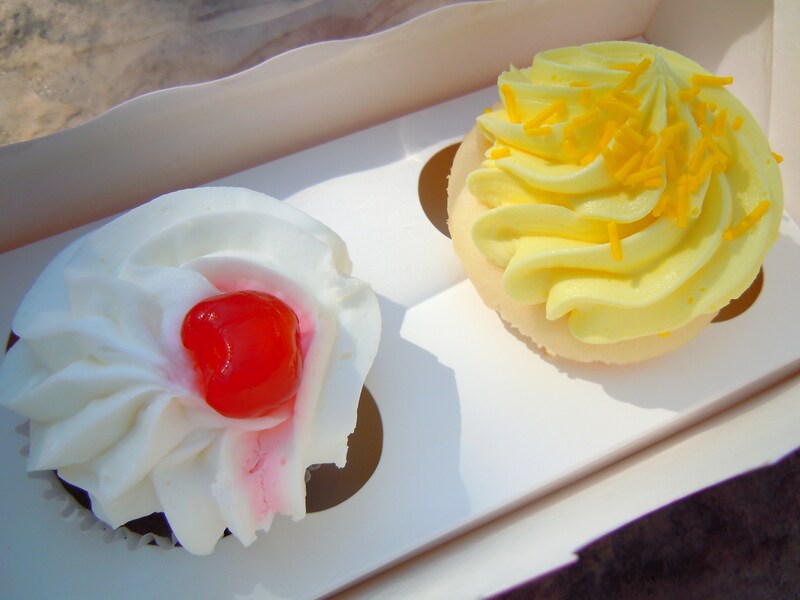 Lemon Creme and Black Forest Cupcakes at the Sweet Pink-and-Brown Crumbs & Co. 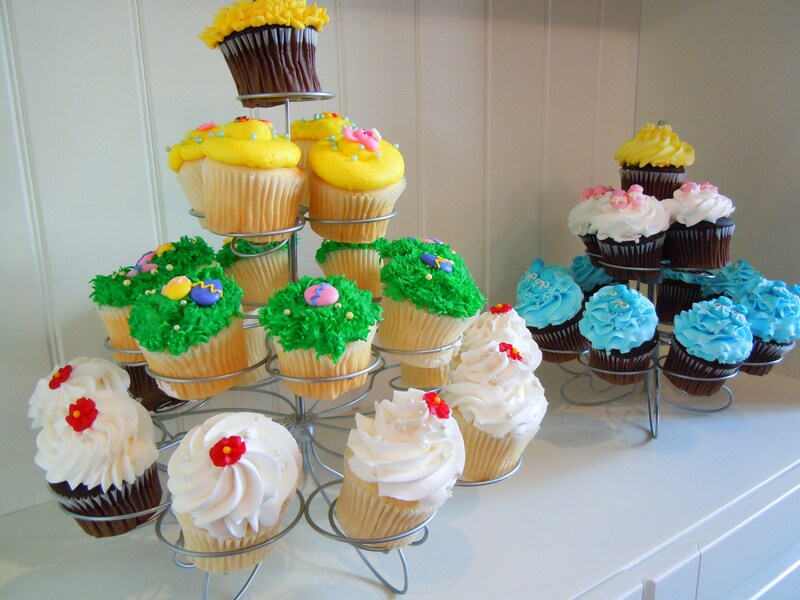 It feels so nice to be writing another bright and happy post on cupcakes right now. After a topsy-turvy week last week where nothing seemed to be going right (I was sick with one of the most painful migraines of my life, which in turn threw me completely off schedule and left me playing catch-up on everything for most of the week), it feels really good to start the week off fresh. There’s so much I’m working on right now (surprise, surprise, when am I not?!) including the May Food Calendar, several new scrapbook layouts, my new cookie and baking scrapbook project, gearing up for the upcoming spring and summer farmers’ market season, and of course, continuing the Cupcake Tour! You all knew this was coming: cupcakes in York Region! I know I’ve written about Old Firehall Confectionery and their adorable square cupcakes, but don’t forget that Old Firehall is a shop with multiple sweet treats and goodies and not an exclusive cupcake bakery. After doing 69 posts on cupcakes in Toronto, a cupcake bakery post situated in Markham, Richmond Hill, and all surrounding regions was a long time coming. I live in Markham for goodness sake! Why has it taken me so long to do one? I honestly don’t know. I have a huuuge hit list and bucket list that will probably never be completely checked off simply because I’m always adding to it, but I always get around to the things I want to do even if it takes some time. 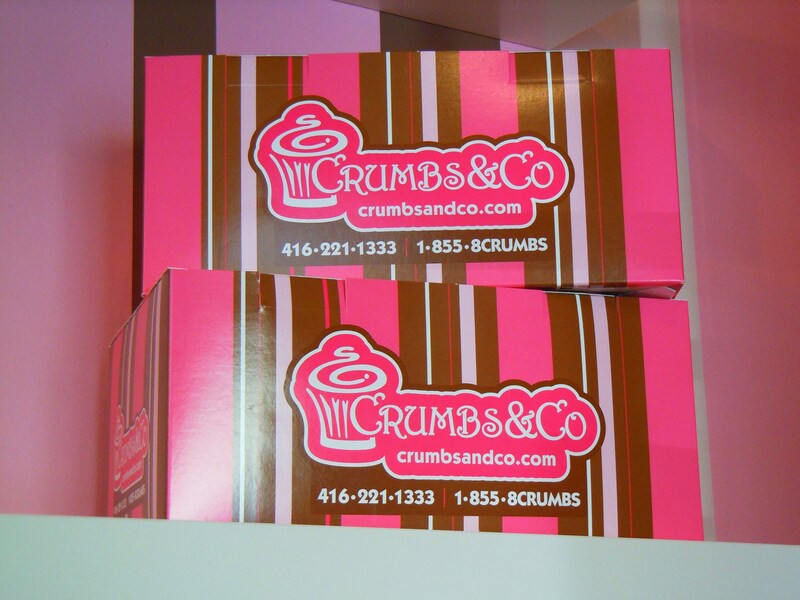 So here we are, with the first cupcake bakery in York Region post, introducing Crumbs & Co.! 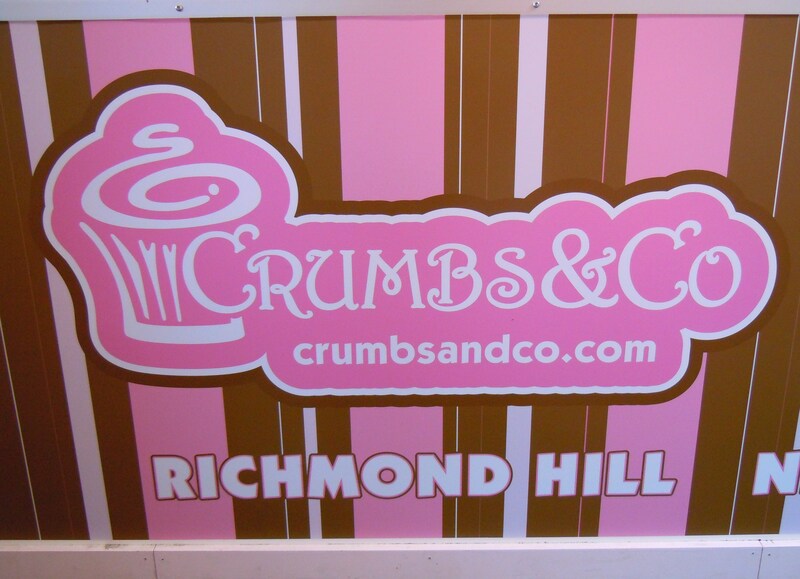 Crumbs & Co. is a sweet, adorable little cupcake shop bakery located in the Richmond Heights/Major Mackenzine Village neighbourhood north of Major Mackenzie Ave. West. with two other locations in York Region. In addition to cupcakes, they sell cookies, macaron gift sets by the dozen, and themed cupcake sets. As well, they host and cater party events, create custom cakes (branding, logos, weddings, and special events), and even have a Cupcake of the Month Club where members enjoy a special cupcake delivery every month in 3, 6, and 12 month subscriptions! There is no shortage of flavours at the shop: 18 flavours of macarons including apricot fig, black currant, mocha, and caramel, and over 25 cupcake flavours including Black Forest, Lemon Creme, cappuccino, chocolate coconut, strawberry shortcake, and so much more. It’ll take me forever and a half to get through all the flavours I want to try, but I cannot wait for the day I get my sweet teeth into their white chocolate lemon (OH.MY.GOD), lemon lime, apple pie, cookie dough, and Boston Cream. Even though I’m a little more unfamiliar with this area of Richmond Hill compared to other neighbourhoods (I’m much more familiar with the neighbourhood just south of Major Mackenzie on Yonge), I will say that if you continue walking/driving/bussing further up north, there’s a lovely little village similar to that of Main Street Unionville and Main Street Markham with cute shops and cafes and it’s definitely worth a nice spring or summer day out to explore. This begs the question then, “how in the world did you find Crumbs & Co.? !” In short, when I was practising my driving a few years ago, my parents and I would drive up to Aurora via Yonge Street and during one of these trips, I noticed the Crumbs & Co. pink and brown storefront from the car window and did a double take (mind you, not with me behind the wheel!) when I realized there was a cupcakery in York Region! That was a very happy day. Fast forward to the happy day in which I made my first visit! Crumbs & Co. had 13 cupcake flavours on hand that day: apple pie, Oreo, raspberry chocolate, Black Forest, strawberry shortcake, coconut creme, double chocolate, mocha espresso, lemon creme, After 8 mint chocolate, vanilla, caramel, and one that looked like a chocolate coffee cupcake. Part of me really, really wanted to go for the apple pie, the coconut, and the strawberry shortcake, but I snatched up a lemon creme one instead along with a Black Forest. Two great things about the cupcakes at Crumbs & Co. are the tax inclusive prices ($3, flat) and the fillings! Most of their cupcakes actually have fillings in them (much like For the Love of Cake in Liberty Village) and they always specific what the fillings are on the little cupcake signs in the display cases. 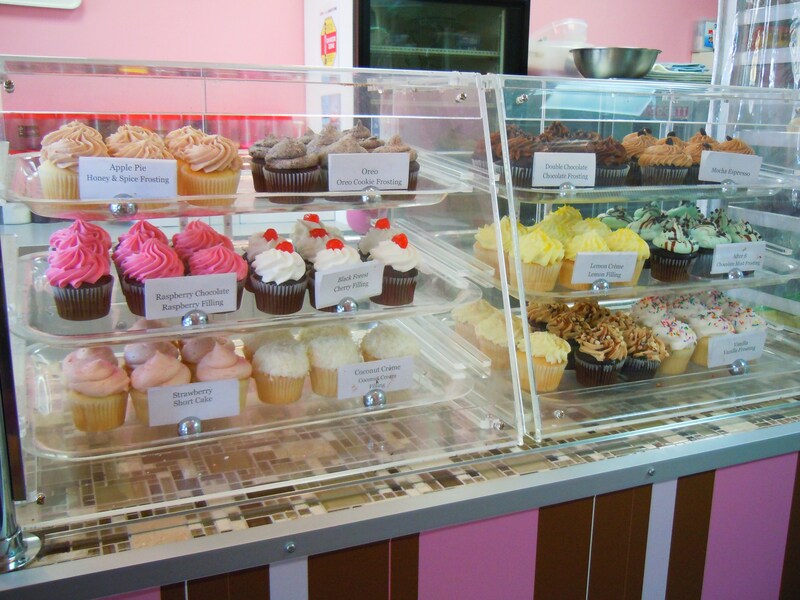 If you enjoy your cupcakes sweet, Crumbs & Co. is definitely for you. 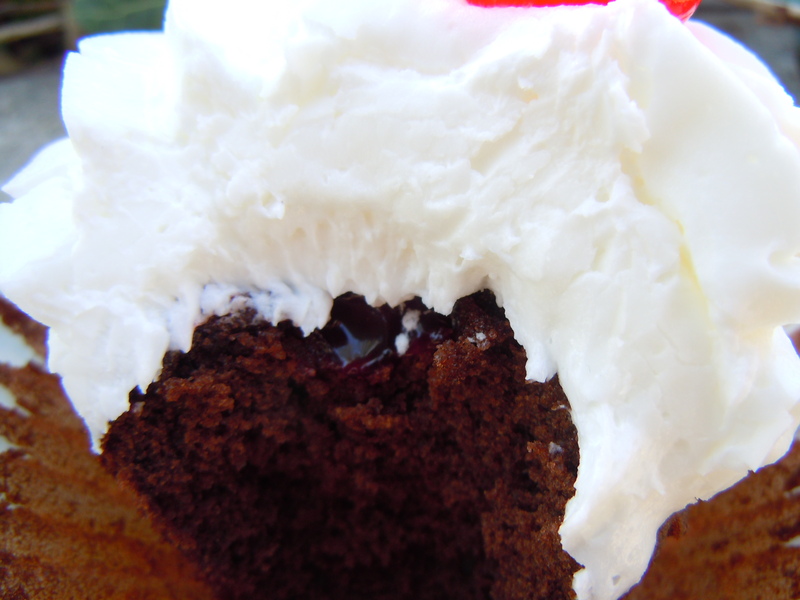 Everyone has a different take on cupcakes and everyone has a different preference for sweetness and frosting texture, but if you enjoy the sweetness, you will LOVE their cupcakes. Their frosting is definitely more of a thick sweet frosting as opposed to a mousse or a whippy buttercream or meringue and between the two, I enjoyed my lemon one more. 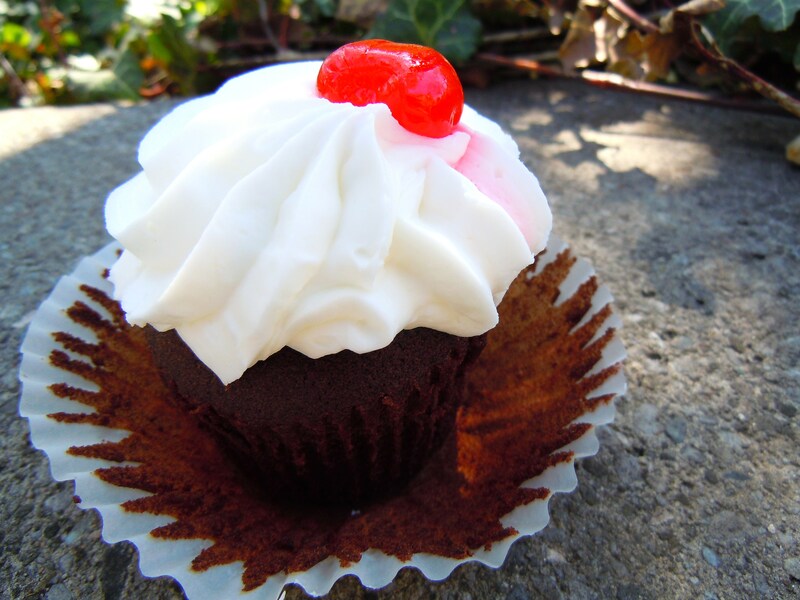 While the Black Forest was great because of the rich cocoa flavour (more cocoa flavour as opposed to fudgy) and the cherry filling, it was a little on the sweeter side for me and I wanted more of a whippy, mousse-like buttercream, but that’s totally my preference for a Black Forest cupcake. The lemon one was much more my speed with a sweet and citrusy lemon sugar frosting, sprinkles, and a dense and thick vanilla cake bottom. 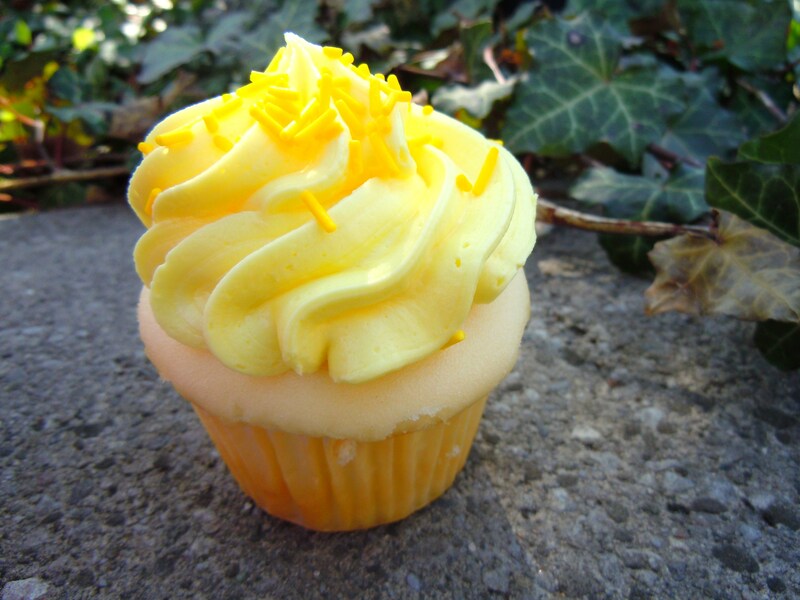 It wasn’t until I actually started eating my lemon cake that I realized just how nice and big the cupcake was. There was a good two and a half to two and three-quarter inches of cake alone, without the frosting, and the vanilla cake had a great pound cake-like taste and texture. 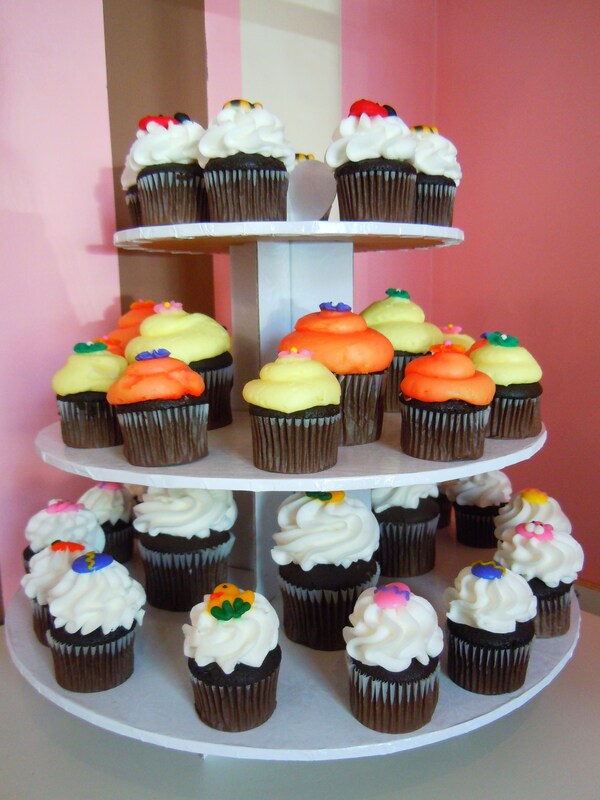 It never ceases to amaze me just how different cupcakes can be from bakery to bakery. I’ve had vanilla cake bottoms that have been super fluffy, pound cake-like, sponge cake-like, with vanilla bean dots strewn throughout, vanilla buttermilk, the list goes on. The texture and more mild vanilla flavour was a really good pairing to the stronger lemon flavour in the frosting and the filling, and unlike the Black Forest, I didn’t feel that this one was overly sweet. 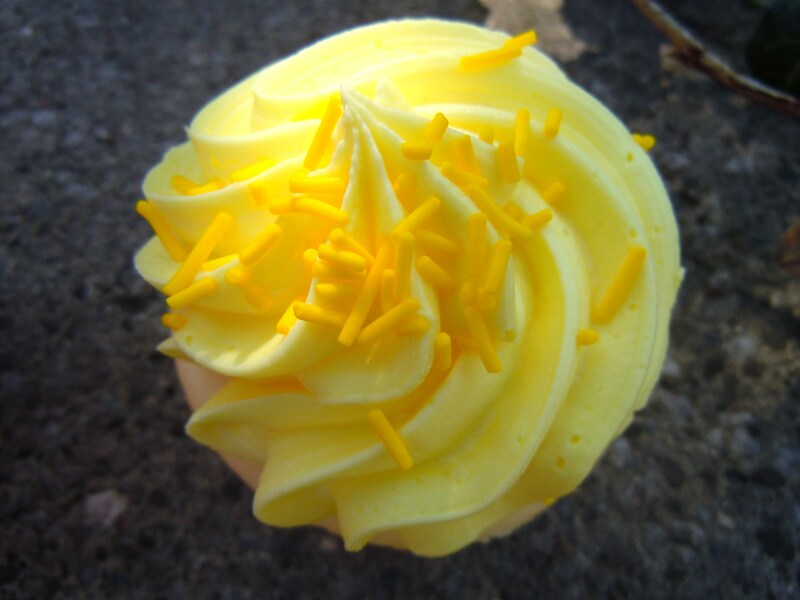 The ratio of cake to frosting was PERFECT (I wasn’t left with too much frosting or cake in the last few bites) and it was just an all-around delicious cupcake, especially with the special lemon curd filling that tasted just like the lemon filling you find in lemon jelly doughnuts! Their boxes are pretty (pink and with a cellophane window like Prairie Girl Bakery), their cupcake shop is sweet and cute, and it’s in my neck of the woods. I’m so happy I finally got around to coming to their shop and I’ll be looking forward to my next visit and future cupcake visits in my area! Crumbs & Co. is located in Markham at 10220 Yonge Street, about three blocks north of Major Mackenzie Drive West. Other locations will be added to the post shortly!